During the summer, Parking and Transportation traditionally shortens the hours stingers and trolleys run, while also reducing the number of vehicles running. This year, with the added construction and new bus schedule, the efficiency and ease of using Tech transportation and dropped considerably. While there is a smaller number of students on campus during the Summer semester, reducing the number of buses makes it much more difficult for the students left on campus to use the transportation system. Students do not usually decide to take the Stingers or Trolleys based on the number of students already on board, rather, they decide to use these modes of transportation because they fit into the students’ schedule. With transportation arriving at longer time intervals, students decide not to ride for fear of being late to class, which creates the idea that students need less transportation during the summer. But, if Stingers and Trolleys ran on the Fall or Spring semester schedule, it is very possible more students would ride, resulting in proof that more transportation is necessary. To further the transportation problem, the heavy amount of construction around campus has created much confusion over the day to day routes. 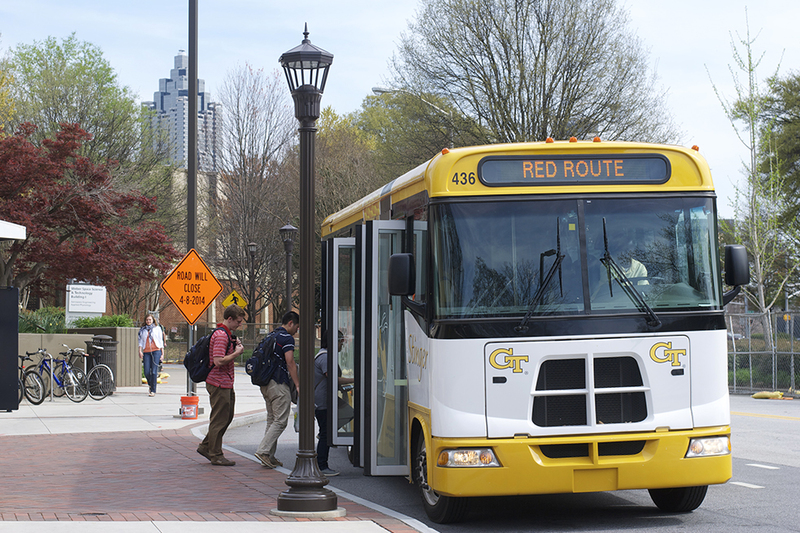 While it is understandable that routes would have to change with construction, tools, such as an interactive map or daily update of route changes would allow students to plan more easily and use campus transportation more often. While a transportation app already exists, it does not sync well with the summer route schedule, again creating confusion and frustration. The reduced number of students on campus during the Summer Semester should not imply that those students need to travel around campus any less than they did during the Fall or Spring semesters.